At some point, we’re constantly told, those with reservations about immigration were silenced. The jack boot of liberal oppression ground them into the dust, but they are now emerging blinking into the light of day, taking deep gulps of air and haltingly speaking The Truth, which has gone unspoken until very recently. The Truth being, of course, that immigration is bad for British culture. The NHS. Housing. Social Cohesion. Etc. (It varies but the main thrust is that the economic data on migration is not enough – there is something intangible and British being lost.) I do agree that economic data is not the only thing to take into consideration, but as Kenan Malik points out, the social science on the effects of diversity and how people feel about it offers a snapshot in time. It’s also not the final word. As far as I can see, those opposed to immigration have never been stopped from airing their views. But quite rightly, critics have drawn attention to the way in which those views are expressed, and the impact of a majority rounding on a minority, who are all too often stereotyped and miscast as the symbol for unrelated social ills. People are confusing criticism with silencing. Your view may be contested, but as far as I can see, when you have Blunkett on the BBC warning of race riots in Sheffield because of the Roma and Nick Clegg chiming in with the accusation that Roma culture can be offensive, I don’t think your problem is being heard. In fact, I don’t think the Roma community, maligned and stereotyped in the national press by politicians with a bully pulpit, can muster the same resources in response. When it comes to politicians scrambling to leap on the anti-migrant bandwagon, silence is not the first word that springs to mind. One. Family Misfortunes by Jamal Osman. Two. Slandering Britain’s Roma isn’t Courageous. It’s Racist by Gary Younge. As usual, not a wasted word, just blistering truth. Younge reminds me a lot of Ta’Nehisi Coates – here taking on the latest Zimmerman news. Politicians speak from a bully pulpit. That’s their right, but too often they use their platform to spout alarming rhetoric, lies and dodgy statistics (or misinterpreted statistics). So much of what is being done in the name of the immigration crackdown is allegedly targeted at the undocumented, or those perceived to be less desirable. We’re encouraged to think in terms of the “settled” immigrant community and “others.” But the truth is, what affects the most vulnerable of us should be a matter of concern for all of us. Last week I wrote this article for the Independent Voices on the killing of Renisha McBride. 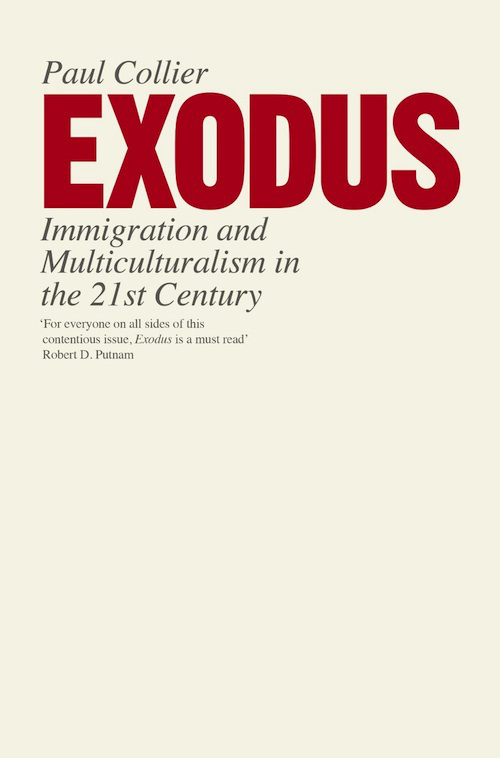 I may not blog as much as I used to before University started up again, but I did write a review of Exodus: Immigration and Multiculturalism in the 21st Century by Paul Collier for Media Diversity UK.